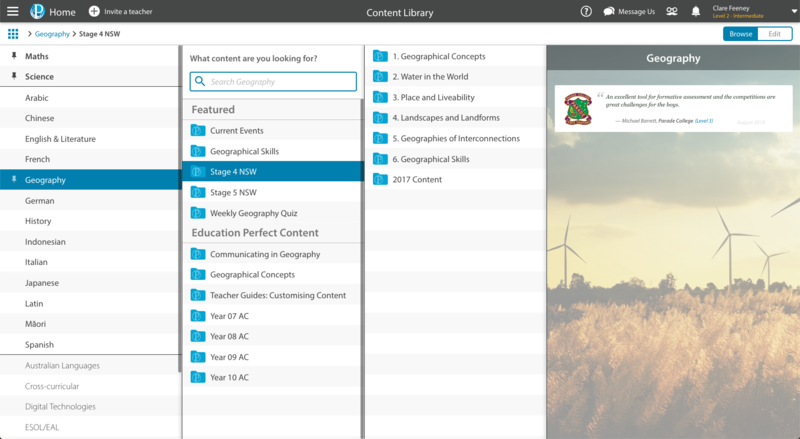 Education Perfect Geography provides teachers with a wide range of quality, engaging and innovative content to drive positive student learning outcomes. 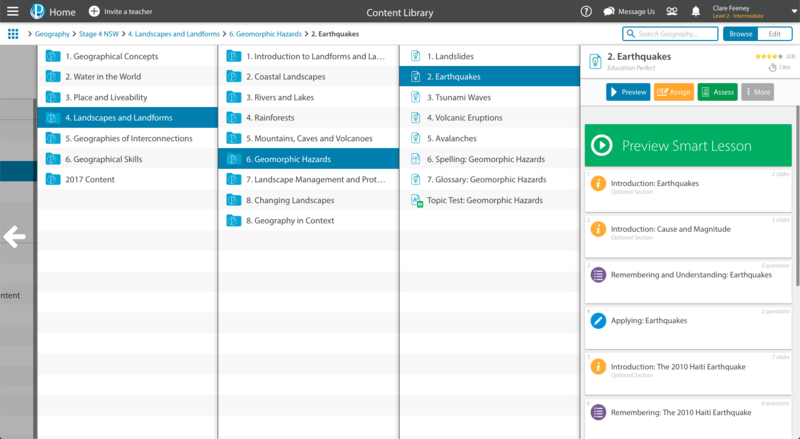 Designed by teachers and written by our in-house team of geography experts, our content covers a wide spectrum of syllabus aligned geography content complemented with concepts and key skills. It offers a variety of vibrant and engaging curriculum informed content that are designed to empower students through an engaging and personalised learning experience.